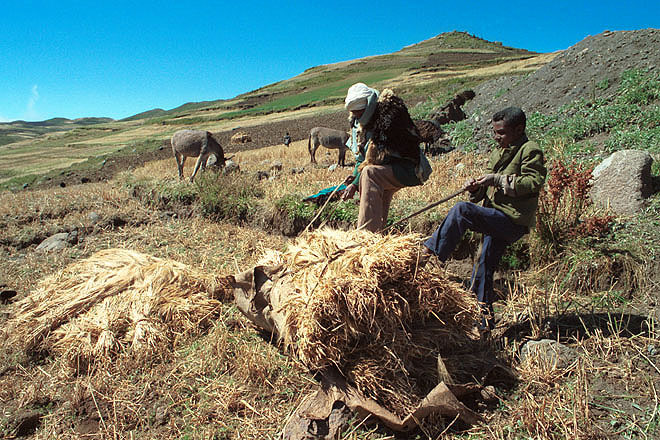 Threshing after a good harvest. 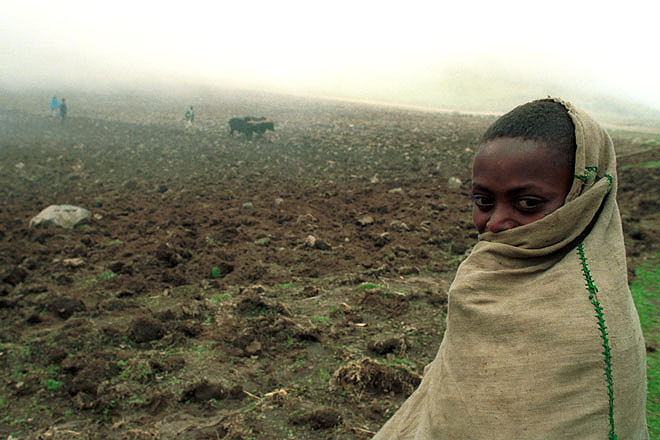 The area around ALIYU AMBA in North Shoa was severely affected by the 1984/85 drought. 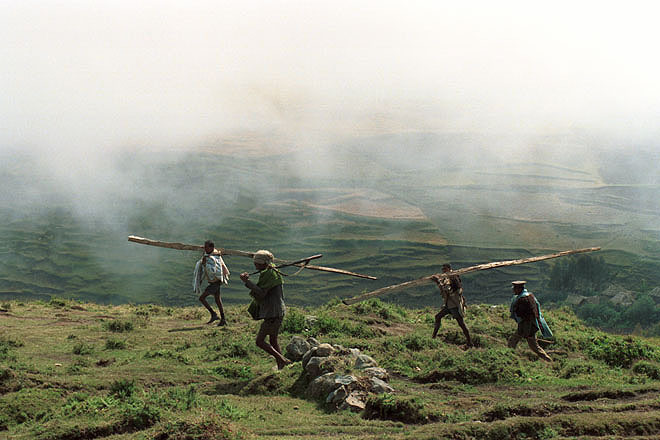 Harvest near the small village of GINAGER, about 80km north of Addis Ababa. 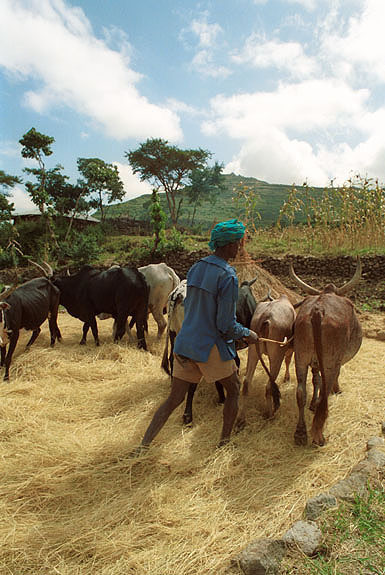 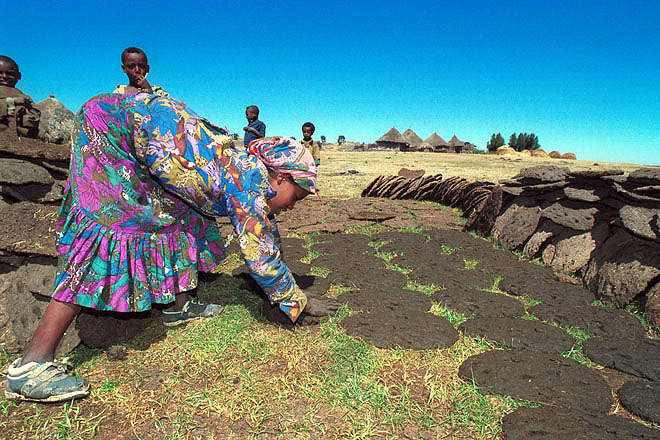 Women and children spread cow dung to dry in NORTH SHOA. 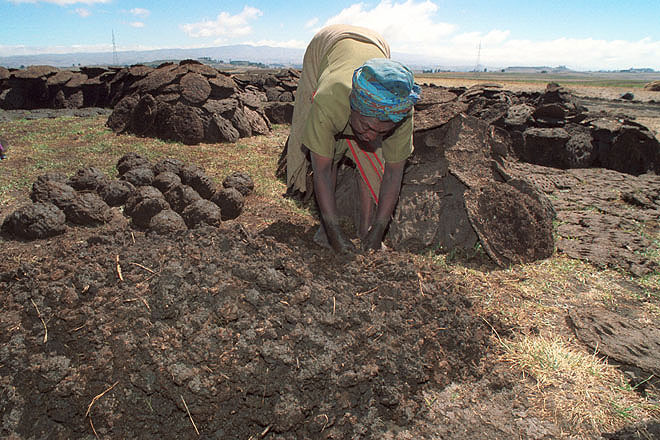 The dung is used as fuel, due to the great shortage of firewood. 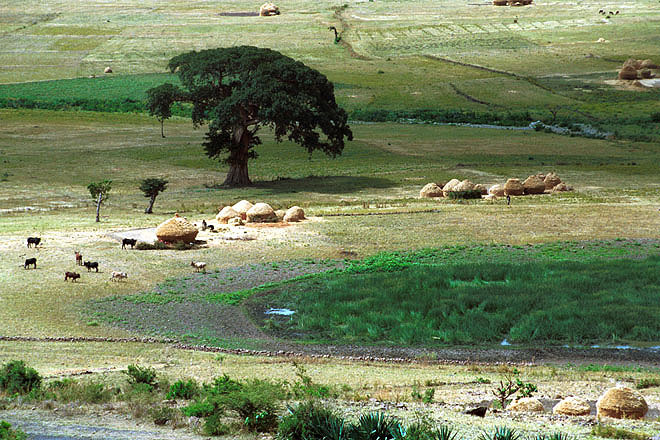 Landscape near the small village of GINAGER, about 80km north of Addis Ababa. 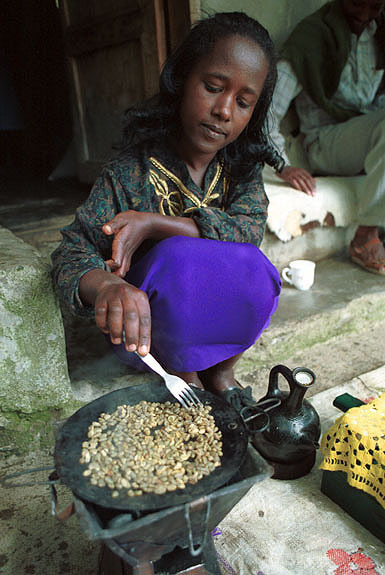 Traditional coffee ceremony preparation in ALIYU AMBA, a small village in North Shoa. 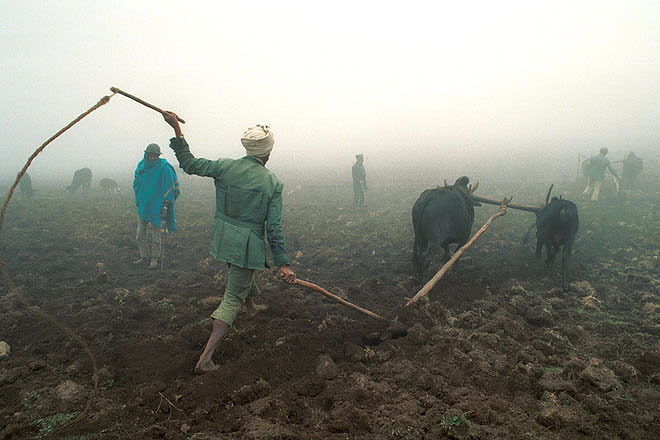 Ploughing in the cold wind at 2500-3000 meters altitude, near ANBOBER in North Shoa. 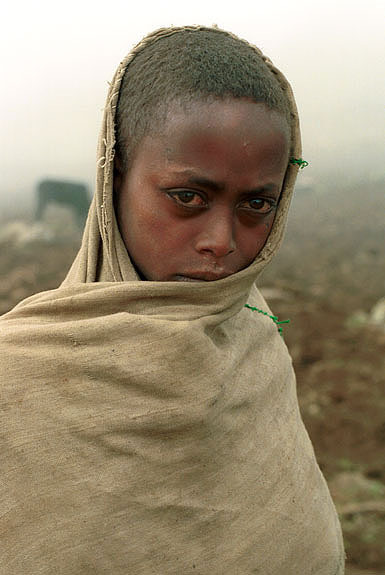 At 2500-3000 meters altitude around ANBOBER in North Shoa can be cold and windy. 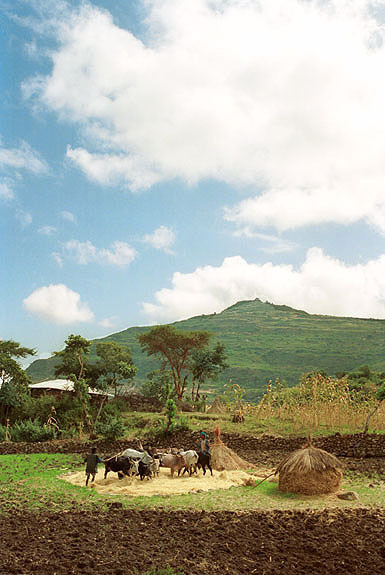 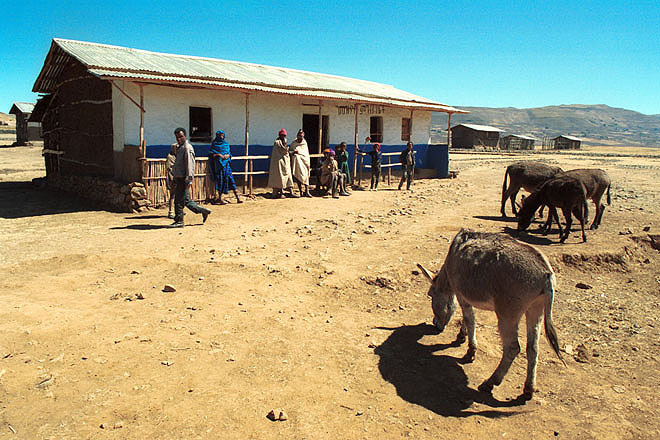 WAKA TIYO, a small village at 3000 meters altitude, about 80km southwest of Dessie in Wollo province. 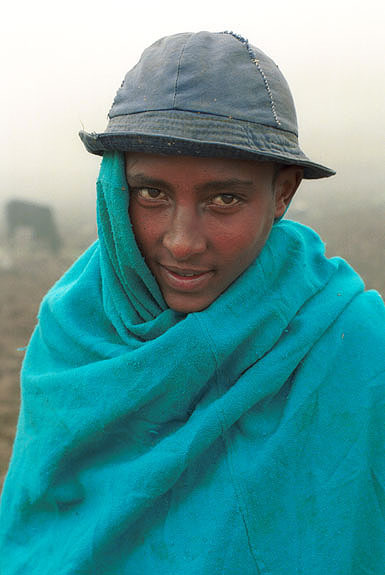 Near WAKA TIYO, a small village at 3000 meters, about 80km southwest of Dessie in Wollo province: by protecting the natural springs from contamination, it is possible for the women to wash their clothes. 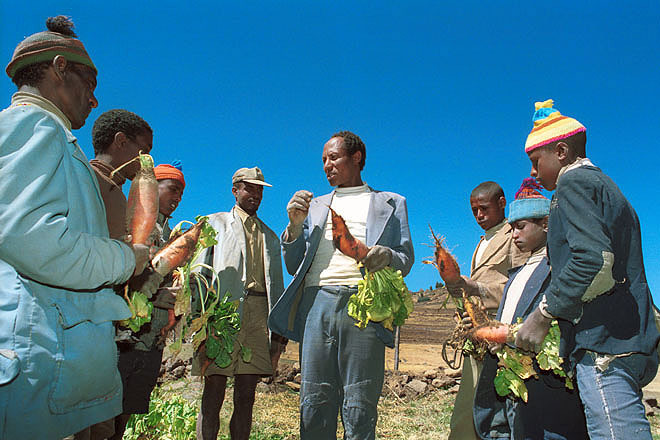 An agriculturalist advises local farmers how to improve their crop near WAKA TIYO, a small village at 3000 meters altitude, about 80km southwest of Dessie in Wollo province. 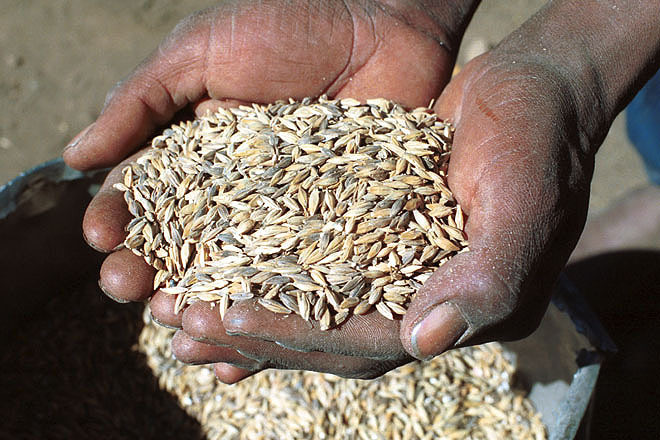 Barley is one of the few crops which can weather the harsh conditions around WAKA TIYO, a small village at 3000 meters, about 80km southwest of Dessie in Wollo province. 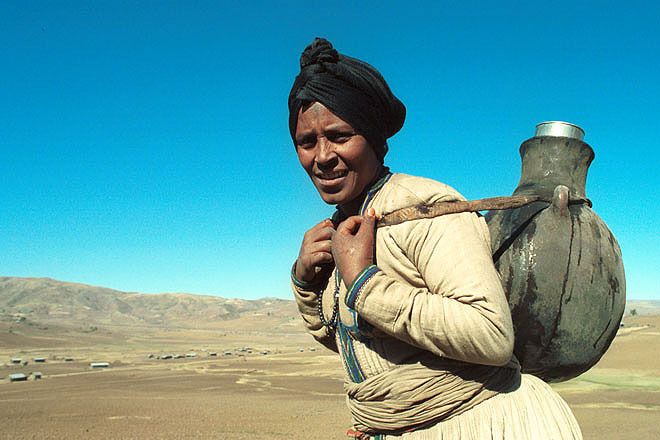 WAKA TIYO, a small village at 3000 meters altitude, about 80km southwest of Dessie in Wollo province: it is still a hard and time-consuming task for women to fetch water. 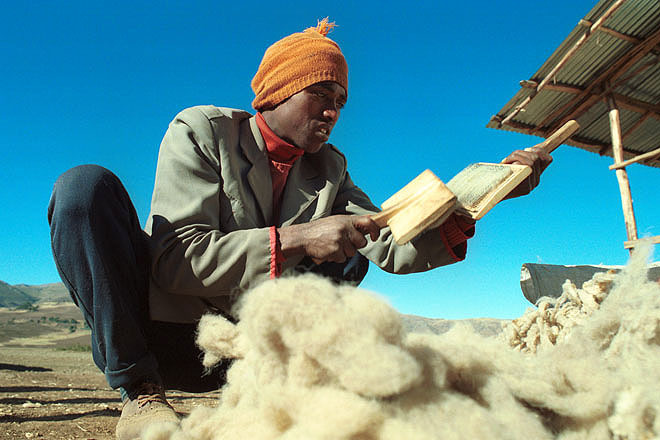 Wool provides cash income to the farmers around WAKA TIYO, a small village at 3000 meters altitude, about 80km southwest of Dessie in Wollo province. 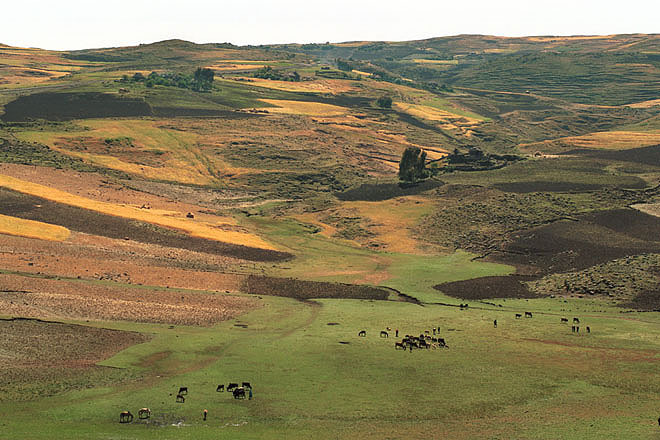 Scenery near KARAKORE, in Wollo province. 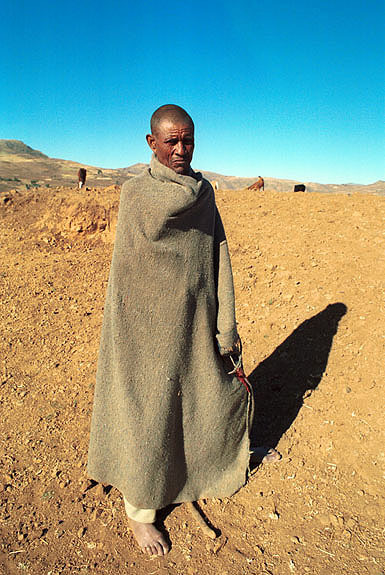 2500-3000 meters high mountains around ANBOBER in North Shoa it can be cold and windy.